This month’s PC Pro magazine includes another one of my freelance features, this time looking at the open-source Arduino microcontroller platform. While the front-cover splash billing it as a “Raspberry Pi rival” is inaccurate – not my call – the feature itself is packed with detail on the Atmel-based marvel. This isn’t the first time I’ve done an Arduino-related feature for a magazine: I’m a big fan of the platform, owning multiple Arduinos and Arduino-compatibles. As well as a beginner’s guide for bit-tech, I’ve done features for Computeractive, Linux User & Developer (reprised in the Linux & Open Source Genius Guide, Volume 3) and Custom PC. This latest, however, is the most comprehensive. Starting with a look at the history of Arduino, the feature walks the reader through why it was created, what its intentions are, how it compares to something like the Raspberry Pi – essentially explaining the difference between a microcontroller and a microcomputer – and how it can be used to create physical computing projects with ease. 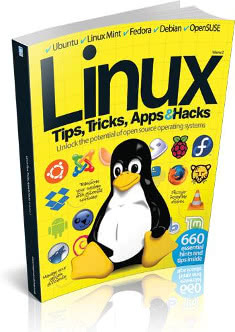 Because of PC Pro’s laudable desire to ensure that readers can walk away from an In Depth feature with something concrete, it also includes a tutorial on using the latest ATmega-based Arduino Leonardo to build a macro keypad that can type email signatures, passwords, locate the user in a multi-player role-playing game or even lock the desktop with the press of a single button. Well, a separate single button for each feature, obviously, otherwise things would get confusing. As usual, I am indebted to the wonderful chaps at Oomlout for providing the hardware for the feature, and to the creators of Arduino itself for making a development platform so simple even I can use the dang thing. If you’re curious as to how the keypad works, source code for the project is available on my GitHub repository – but I’d still recommend picking up a copy of the magazine for wiring instructions and a jolly good lesson on the history of the Arduino project. PC Pro Issue 224 is in newsagents, supermarkets and similar establishments now, or can be accessed digitally via Zinio or other platforms.